Have you heard of the book "The 5 Love Languages?" I think I've mentioned it on here before but for those who haven't heard of it: it's a book by Gary Chapman that seeks to help couples discover their "love language" - the ways that make them feel the most loved. There are 5 love languages - Quality Time, Words of Affirmation, Receiving Gifts, Acts of Service, and Physical Touch. My husband and I read it quite a few years ago. - It's pretty user-friendly. 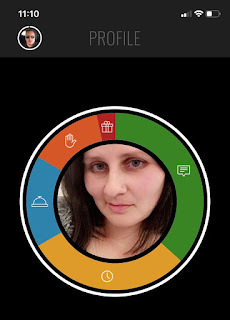 It was easy to get the app set up and to connect to my husband's phone. - There was lots of helpful information on the first tab that explained more about the different love languages that included examples and videos, as well as listing where that love language fell for you and your spouse. 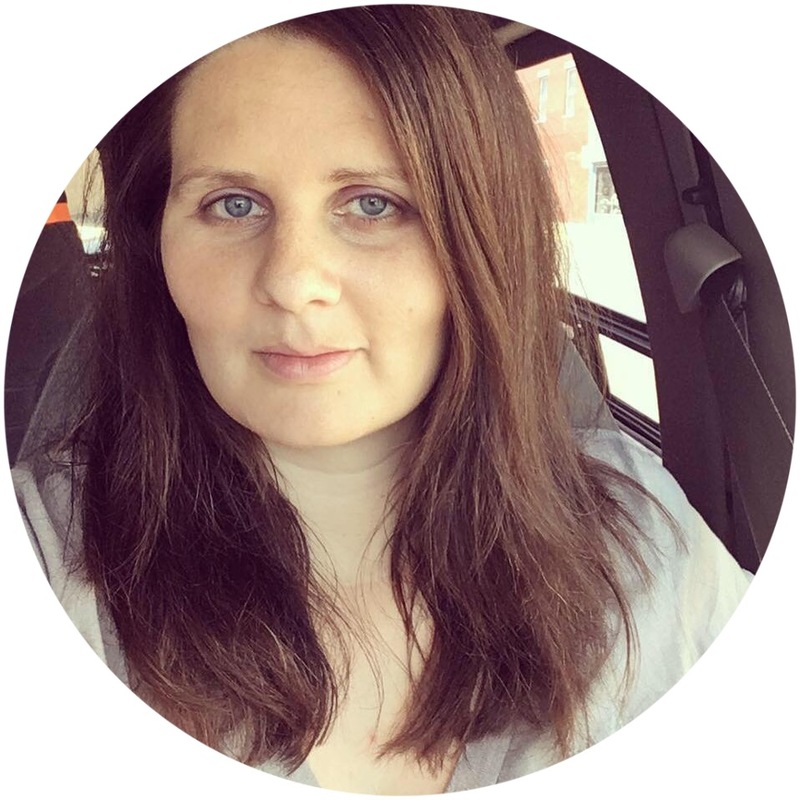 - I liked seeing the percentages of the different love languages on our profiles. (See the picture below.) We already knew what they were but it was a little easier to see in a graphic format. - The ideas provided as goals to set were pretty handy. Many of them were things I was already doing or had done before but it was nice to have a reminder for some of them. And I liked looking to see what it suggested for the other languages. - You and your spouse have the option to adjust your "love tank" - a tab on the app that lets you select a number from 0-100 as to how loved you're currently feeling and shows it in graph format for weeks, months, and years. I can see where this could be an issue for us personally. Let's say I'm having a rough day and I adjust my love tank to 20. My husband is in a meeting at work that's not going so well and then gets a notification from me that I'm not feeling loved. It might not make him feel so great or might even feel like yet another thing he has to do. A better option might be to have a set time to adjust the love tank...maybe a weekly checkup during a time period you're both free? Just a thought. - The nudges felt a bit like nagging to me. I get the idea behind it but I guess I still felt like it could potentially be an issue to the other person. Some of the ideas felt a bit redundant or over the top. However, for those couples who are newly married or having issues understanding the other person's love language, it might help them understand better. 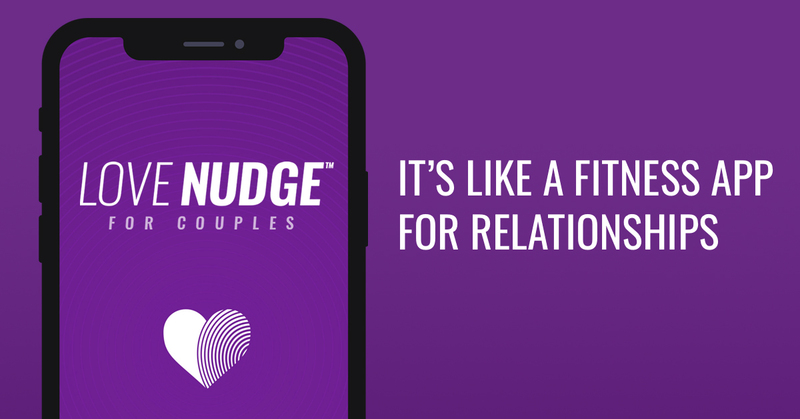 You can download the LoveNudge App and be entered to win Dr. Gary Chapman’s #1 New York Times bestseller The 5 Love Languages®, The 5 Love Languages® for Men, AND The Love Languages Devotional Bible (hardback)! Go to https://www.blessedfreebies.com/lovenudge.html to enter and for more details. And be sure to follow me on Instagram where I'll be sharing my own giveaway for a copy of the 5 Love Languages book tomorrow!